Starting right out of the gate, if a person does not believe “that the universe was formed at God’s command, so that what is seen was not made out of what was visible,” his faith is Jesus Christ is suspect, for God has clearly stated that it is so. And what more shall I say? I do not have time to tell about Gideon, Barak, Samson and Jephthah, about David and Samuel and the prophets, who through faith conquered kingdoms, administered justice, and gained what was promised; who shut the mouths of lions, quenched the fury of the flames, and escaped the edge of the sword; whose weakness was turned to strength; and who became powerful in battle and routed foreign armies. Women received back their dead, raised to life again. There were others who were tortured, refusing to be released so that they might gain an even better resurrection. Some faced jeers and flogging, and even chains and imprisonment. They were put to death by stoning; they were sawed in two; they were killed by the sword. They went about in sheepskins and goatskins, destitute, persecuted and mistreated— the world was not worthy of them. They wandered in deserts and mountains, living in caves and in holes in the ground. For God so loved the world that he gave his one and only Son [Jesus Christ], that whoever believes in him shall not perish but have eternal life. For God did not send his Son into the world to condemn the world, but to save the world through him. Whoever believes in him is not condemned, but whoever does not believe stands condemned already because they have not believed in the name of God’s one and only Son. This is the verdict: Light has come into the world, but people loved darkness instead of light because their deeds were evil. Everyone who does evil hates the light, and will not come into the light for fear that their deeds will be exposed. But whoever lives by the truth comes into the light, so that it may be seen plainly that what they have done has been done in the sight of God. It is paramount that we understand and believe this if we claim to be a believer in Jesus Christ. Without this, any faith that we claim we have is faith in something or someone else. Therefore, since we are surrounded by such a great cloud of witnesses [the Old Testament folks we just read about in Hebrews 11], let us throw off everything that hinders and the sin that so easily entangles. 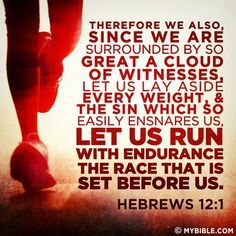 And let us run with perseverance the race marked out for us, fixing our eyes on Jesus, the pioneer and perfecter of faith. For the joy set before him he endured the cross, scorning its shame, and sat down at the right hand of the throne of God. Consider him who endured such opposition from sinners, so that you will not grow weary and lose heart. Notice in those verses what we are to do. We are to . . . . Consider him [Jesus] who endured such opposition from sinners so that we will not grow weary and lose heart. And he sat down at the right hand of the throne of God. Therefore, “Take up your cross and follow Me” means being willing to die in order to follow Jesus. This is called “dying to self.” It’s a call to absolute surrender. After each time Jesus commanded cross bearing, He said, “For whoever wants to save his life will lose it, but whoever loses his life for me will save it. What good is it for a man to gain the whole world, and yet lose or forfeit his very self?” (Luke 9:24-25). Although the call is tough, the reward is matchless. Wherever Jesus went, He drew crowds. Although these multitudes often followed Him as Messiah, their view of who the Messiah really was—and what He would do—was distorted. They thought the Christ would usher in the restored kingdom. They believed He would free them from the oppressive rule of their Roman occupiers. Even Christ’s own inner circle of disciples thought the kingdom was coming soon (Luke 19:11). When Jesus began teaching that He was going to die at the hands of the Jewish leaders and their Gentile overlords (Luke 9:22), His popularity sank. Many of the shocked followers rejected Him. Truly, they were not able to put to death their own ideas, plans, and desires, and exchange them for His. Following Jesus is easy when life runs smoothly; our true commitment to Him is revealed during trials. Jesus assured us that trials will come to His followers (John 16:33). Discipleship demands sacrifice, and Jesus never hid that cost. In Luke 9:57-62, three people seemed willing to follow Jesus. When Jesus questioned them further, their commitment was half-hearted at best. They failed to count the cost of following Him. None was willing to take up his cross and crucify upon it his own interests. Therefore, we should expect opposition in this life, and expect it right up until we take our last breath. The joy that Jesus stated that was set before him in Hebrews 12:1-3 was found in Heaven, not here on earth. This life we are living is preparation for the next life. And that’s not often a message we hear today, but it is the reality of what Jesus had to say to those of us who truly follow him. Faith isn’t found in the things of this world–money, materialism, success, careers, people, appearances, reputations, etc. Those things are all a part of life, but our faith should not be placed in any of them. It can all too easily vanish and if we have placed our faith in anything but Jesus, we will be crushed under the weight of the loss when it happens. We are to “fix our eyes on Jesus (not money, materialism, success, careers, people, appearances, reputations, etc.) who is the pioneer and perfecter of our faith” (the NKJV states “author and finisher of our faith”). 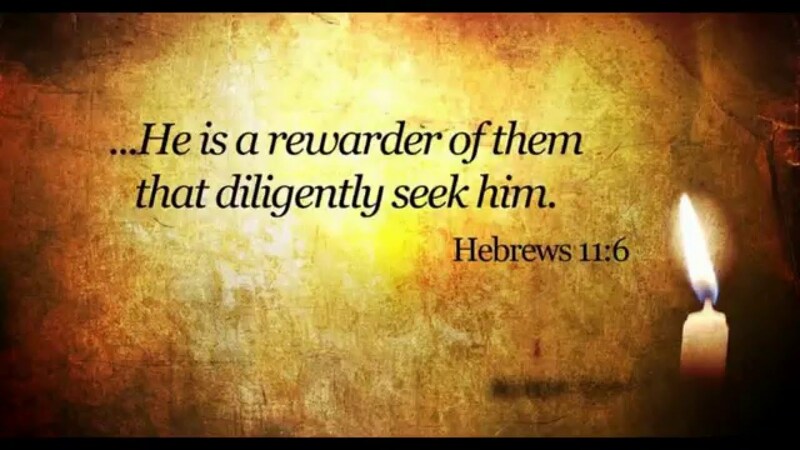 The rewards come when our race is done here on this earth. . . . So where do we place our faith? In who we are, what we do, what we have, or who we know? Or in Jesus . . . . 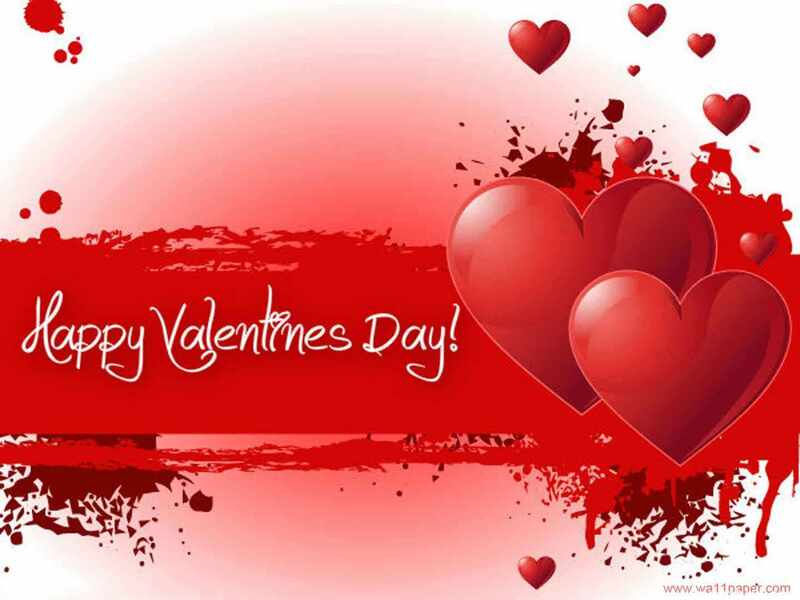 I posted this blog post below on Valentine’s Day last year and decided to post it again for this year. It’s always a good reminder to remember what true love is really all about. 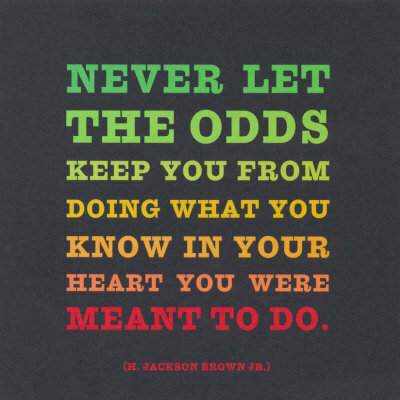 That particular blog from three years ago is titled, “Against All Odds.” It was during February of that year that I became aware of a few more details that were involved in my circumstances (which are crystal clear at this point in time). It’s not that the additional information changed how I viewed my circumstances, but it give me more information to go on. Call it a “light bulb” moment. For the sake of this blog post, the details are unimportant, but it was an crucial piece to the puzzle I was in need of at that time. Apart from the length of time mentioned in this previous blog post (e.g., “four years” is now seven years) and the fact that a lot more changes have occurred during these past three years since it was written to include the fact that I no longer live where I lived when I wrote that blog post (instead, I am currently living in hotels–sigh…), rereading that post was a great reminder to me of all of the ways that God has met my needs during those first four years since losing my job in Houston in April 2009. Who knew it would still be ongoing three years later from the time I wrote it. And now it’s been going on seven years and counting since it all first began. Of course, since that time three years ago, my circumstances have changed considerably and now include, for the past 16 months, my current housing search while living in hotels; and that has actually been going on for almost two years now since I left that apartment I lived in for over four years at the end of March 2014. Hotel living (and we aren’t talking The Marriott, either) is extremely expensive, and it started when I went back to Houston at the end of September 2014 to try to find affordable senior housing which, after a thorough search, ended three plus months later when I could not find any affordable housing while living in hotels that I thought would be a very temporary living situation. I returned to Florida after the dismal outcome of my housing search in Houston over a year ago, and I’ve been living in hotels for that past year here in Florida while continuing to search for affordable senior housing that just never seems to show up no matter how hard I try to find it. Of course, it all has to do with those “circumstances” that are beyond my control. I’m glad I ran into this particular blog post from three years ago as it reminded me of all the ways God has been faithful to me during those first four years after losing my job in Houston. We do have a “success” mentality in America and we tend to assume that anything bad that happens (and sticks round) outside of the parameters of that “success” mentality is suspect. And for the past several decades that “success” mentality has invaded Christian thinking and living in America as if it is some sort of “proof” that one is, indeed, going in the right direction. Yet history and many biblical accounts do not speak to “outward appearances” as having anything to do with what God views as success. Still, we tend to march to that particular drummer, and it sort of reminds me of following a Pied Piper. That term comes from “the Pied Piper of Hamelin (in German legend) who is a piper who rid the town of Hamelin of rats by luring them away with his music and then, when he was not paid for his services, lured away its children” (quote source here). In short, it means someone who offers strong but delusive enticements (source here). And we have much in our society today that lures us and our children down paths we never intended to go and that we are often blinded by. However, I don’t want to get off the topic of this post. This post is a reminder that Jesus lived among an “unbelieving generation” who thought they truly believed but when push came to shove, they really didn’t believe, and their actions proved that to be the case. I’ll let the blog post explain it. So without further ado, here it is–a blast from the past . . . .
And, by the way, I still believe in miracles . . . Yes, I do!!! Do you believe in miracles? Many folks say they do but when something miraculous actually happens many times they call it merely a “coincidence.” Dictionary.com defines “coincidence” as “a striking occurrence of two or more events at one time apparently by mere chance.” Mere chance . . . .
“When they [Jesus, Peter, James and John] came to the other disciples, they saw a large crowd around them and the teachers of the law arguing with them. As soon as all the people saw Jesus, they were overwhelmed with wonder and ran to greet him. “‘What are you arguing with them about?’ he asked. “So they brought him. When the spirit saw Jesus, it immediately threw the boy into a convulsion. He fell to the ground and rolled around, foaming at the mouth. If you had been in the crowd that day and witnessed what happened, what would your reaction have been to the miracle that you just witnessed? There are two striking remarks by Jesus in this account: “O unbelieving generation” and “Everything is possible for him who believes.” Herein lies the difference between believing in mere “coincidence” (by an unbelieving generation) and believing in miracles (as believers in Jesus Christ). With God there are no “coincidences.” None . . . .
As I look back over these past four plus years from the time I landed in Houston to start that ill-fated job that I lost almost seven months later that has brought about almost four years of unemployment at this point in time (and I’m still looking) I see miracle after miracle of God’s provision in my life. Many folks might just say it’s “coincidence” that all of these things happened. However, I have never believed in “coincidence.” No, I believe in God and that He is ultimately in control of everything that happens to us. Also, I would not have been able to come back to Florida at the end of September 2009 had I not been offered the spare bedroom in the home of a good friend at the time. I had been looking for a room to rent in a home in Houston at the time of her offer, and that is when I decided to return to Florida. Of course, I lost most of my possessions (all of my furniture, over 1000 books, and other items) as I couldn’t afford to move them back to Florida. However, her offer and my subsequent return to Florida allowed me to receive the extended unemployment benefits. From a medical standpoint, I’ve been very fortunately to be in good health all of my life. I was able to keep Cobra health insurance for the first 15 months after I was fired at a significantly reduced rate due to being fired (the reduced rate was not available for anyone quitting a job but only to those who were “involuntarily terminated”). Fortunately, I only had to seek medical help once during that time for a minor infection. Once my Cobra insurance ran out at the end of July 2010 I’ve had no medical insurance since then. In October 2010 I did have to seek help for a situation that required an MRI in order to find out what was going on and since I had no medical insurance it was hard to find a doctor who would see me without a large upfront payment except for one doctor (in a very upscale office and location) who charged me a very minimal amount to be seen. He also helped me find a place where I could get an MRI for only $300 (an astoundingly low price for an MRI). The situation was such that over the next two or three months I healed normally and completely without any additional medical care. And from a spiritual standpoint, if you’ve been reading my blog posts, you know that I went from a very lethargic spiritual life (that I didn’t even realize was lethargic) when I landed in Houston to experiencing a living, breathing, vital relationship with Jesus Christ that penetrates every area of my life, and that my whole life, and especially my view of the world, has opened up in ways I never could have imagined. Not only that, I’ve been on an adventure that I wouldn’t replace for the highest paying job in the world. And just in the past year I was able to make trips to Atlanta and Houston that I never dreamed I could have afforded as an unemployed person on a very tight budget. Now, you may say that all of these things that have happened to me are just “coincidence,” but that’s like looking at a full color photograph and only seeing it in black and white, or experiencing a 3-D world in only two dimensions. If you want to believe that everything that happens in the realm of “miracles” is only “coincidence,” you can continue to live on that flat plain. However, I’ll take the mountains and the valleys of real life any day of the week because I do believe in miracles. And they happen all the time . . . .
Jesus was frustrated by an “unbelieving generation” and that’s obvious when he stated, “O unbelieving generation. How long shall I stay with you? How long shall I put up with you?” (Mark 9:19). And He says the same to us today. Jesus told the father of the boy possessed by an evil spirit that “Everything is possible for him who believes” and “immediately the boy’s father explained, ‘I do believe; help me overcome my unbelief!’” (Mark 9:23-24). And we need to respond in like manner. 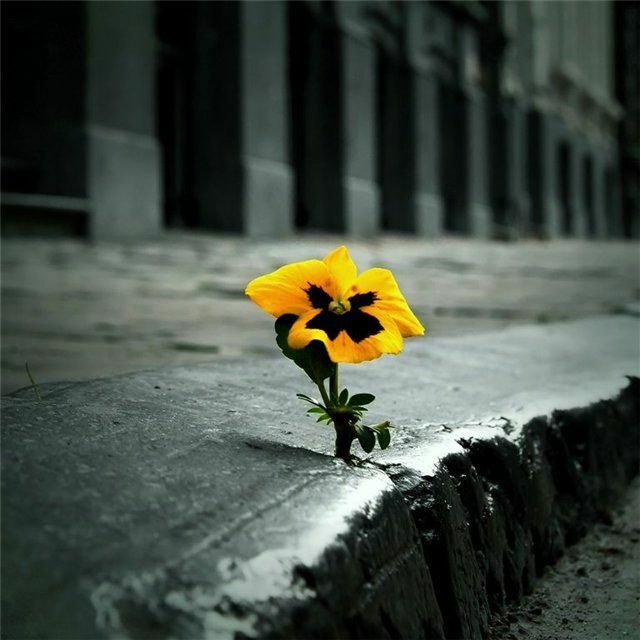 We can either choose to see life as a series of “coincidences” or as a life filled with miracles. So I go back to the question I posed when I started this blog post . . . . I do, and even though it’s been almost four years of waiting for that miracle to show up that will finally bring an end to this very long time of unemployment, I have seen and experienced firsthand God’s miracle provision for me all along my path. Do I get frustrated waiting for that miracle to show up? Yes, I do, absolutely . . . but all I can think of is that it must be one heck of a great miracle up ahead after waiting all this time for it. Coincidence? Are you kidding me? No, I believe in miracles!! !